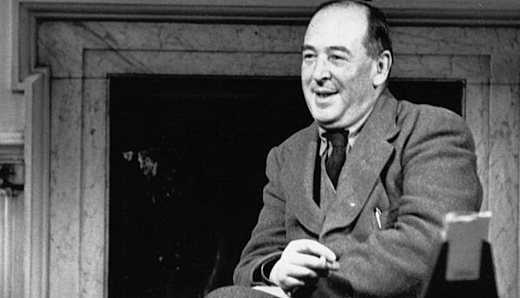 December, 1959: C. S. Lewis writes the following letter to BBC producer Lance Sieveking and praises the recent radio adaptation of his Narnia story, The Magician's Nephew. He then clearly states that he is "absolutely opposed" to the idea of a TV adaptation of the novels and that, to him, a pantomime Aslan would be "blasphemy." 8 years after the letter was written — 4 years after Lewis's death — ITV broadcast a 10-part TV adaptation of The Lion, the Witch and the Wardrobe (footage here). Its animal characters, including Aslan, were all played by actors in costume. (Why do you 'Dr.' me? Had we not dropped the honorifics?) As things worked out, I wasn't free to hear a single instalment of our serial except the first. What I did hear, I approved. I shd. be glad for the series to be given abroad. But I am absolutely opposed—adamant isn't in it!—to a TV version. Anthropomorphic animals, when taken out of narrative into actual visibility, always turn into buffoonery or nightmare. At least, with photography. Cartoons (if only Disney did not combine so much vulgarity with his genius!) wd. be another matter. A human, pantomime, Aslan wd. be to me blasphemy. All the best.